Our search for the best places on Earth to view a total solar eclipse has taken TravelQuest to some unusual destinations over the years. Travelers have journeyed with us to remote viewing sites in Libya, Madagascar, the Cook Islands and the Gobi Desert, to name just a few. The total eclipse of March 20, 2015, will be no different, as we travel to one of only two locations on the planet that are suitable for land-based viewing: the Faroes, a small cluster of islands in the North Atlantic Ocean. 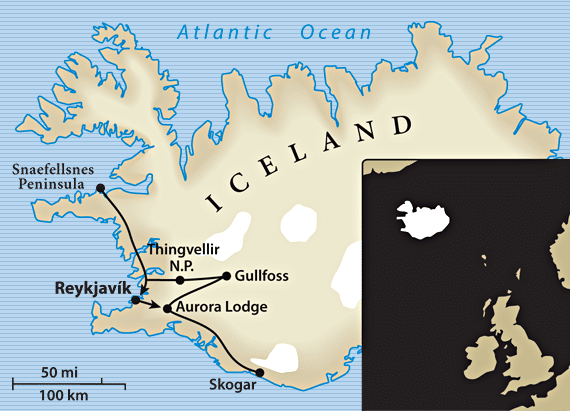 Our newest eclipse adventure also explores neighboring Iceland, with its spectacular landscapes of mountains, volcanoes, glaciers and thermal springs – plus great opportunities to view the incredible aurora borealis. 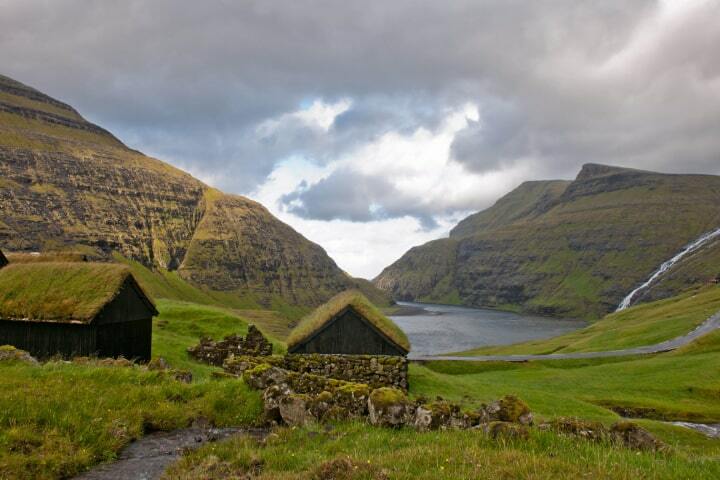 Situated about halfway between Scotland and Iceland, the Faroes are mountainous and windswept yet remarkably green, thanks to the warming effect of the North Atlantic Drift. The Faroes islanders, who make their living mainly from fishing and raising sheep, welcome visitors with warm hospitality and a proud sense of their unique history. Local experts have helped us choose the ideal viewing site to experience 2 minutes and 9 seconds of totality on March 20. In Iceland, just a one-hour flight to the northwest, we find a similarly mild climate, even though the tiny island country lies just outside the Arctic Circle. In addition to discovering beautifully rugged wilderness areas dotted with geysers and waterfalls, we also have good chances to view the surreal light show of the aurora borealis, thanks to Iceland’s orientation to the auroral oval – which extends to the Faroes as well. 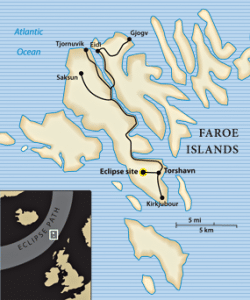 This is an amazing opportunity to visit two lands of stunning natural beauty, learn a little about their way of life, enjoy a perfect vantage point for the total solar eclipse – and, with luck, see the elusive aurora borealis. We hope you’ll join us.